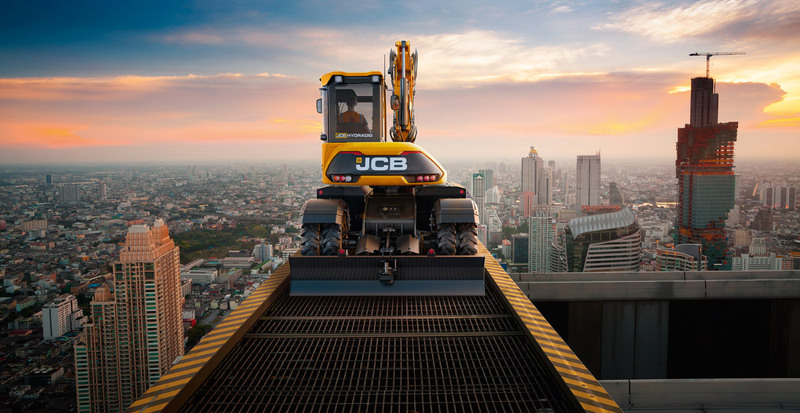 “The vision from the outset of the project was to design and engineer the most innovative solution in response to five key challenges facing customers in today’s construction sector. The machine had to be first for visibility, stability, manoeuvrability, mobility and serviceability. Moving the engine and tanks to the chassis lets you see all four wheels from your driving position. 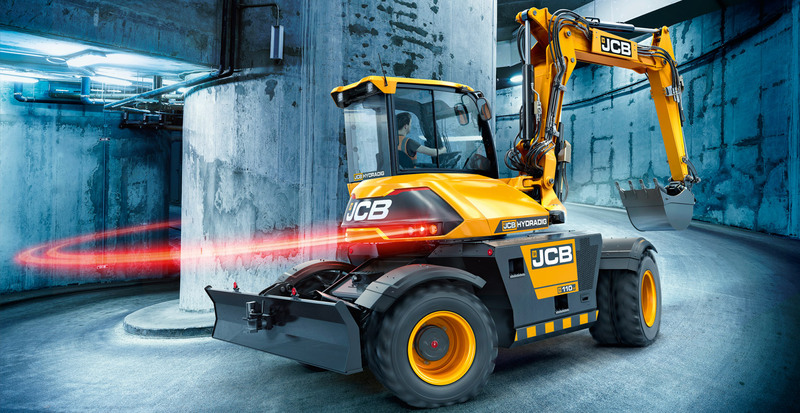 Reduced counterweight and tailswing lets you work against a wall with confidence. 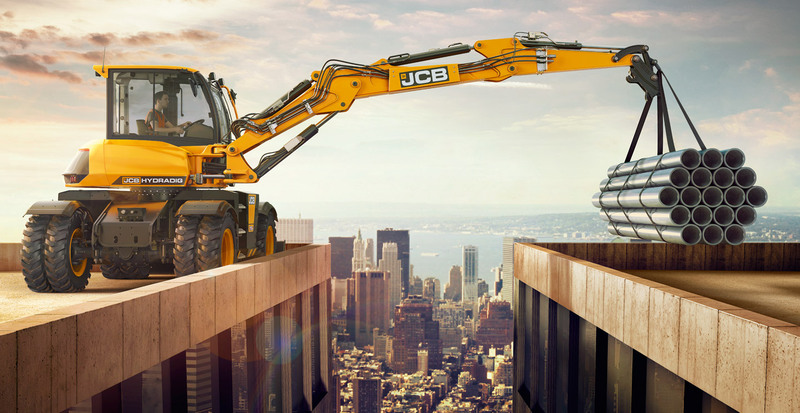 The JCB CommandPlus cab has more glass to further enhance your visibility. Optional LED lights give you amazing daylight working conditions after dark. Work in total confidence with class-leading over the side stability and with reduced tailswing. Engine and tanks mounted to chassis lower the centre of gravity and transform stability. 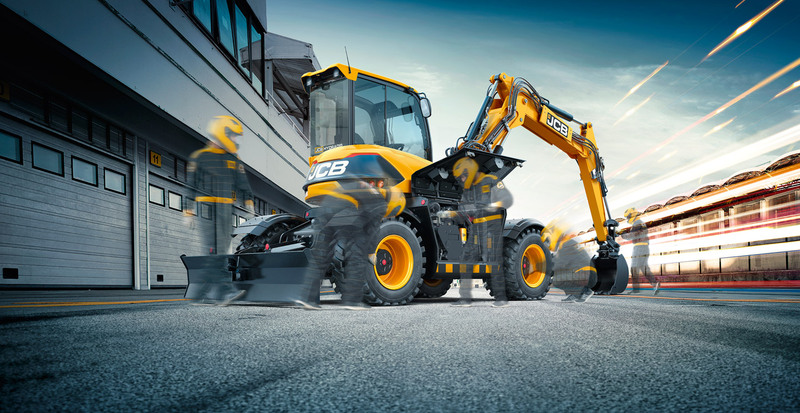 Match every job with any combination of dozer and stabiliser options. Choose single, dual or floatation tyres to suit the ground conditions. * Twin articulation boom offering lift capacity of 1000kgs through 360° off dual tyres. A lower centre of gravity and 2.6m wheelbase provides unrivalled true and stable 40kph roading. No changing gear with our stepless single speed hydrostatic transmission. Manufacturer approved 3.5T towing capability and trailer lets you take all your attachments with you. 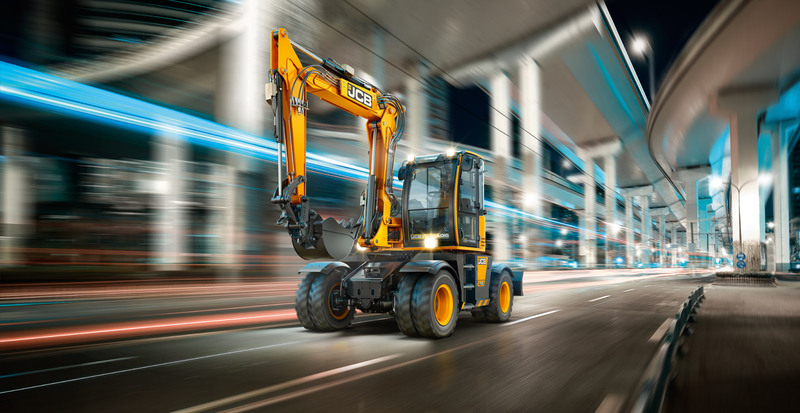 Achieve high torque at low revs with the 81kW JCB Ecomax engine. Turn and work in a single carriageway with an under 4m turning radius. Enjoy 3 steer modes in 1 machine with 2WS, 4WS and crab steer. Always face forwards with our new reverse steer option. Go anywhere performance with class-leading axle oscillation. No more climbing on to upper structure with ground level access to all daily checks. Unrivalled serviceability with class-leading SAE rating. Long 500 hour intervals on all dig end, dozer and stabiliser grease points. Get two free services with every machine in the first year.